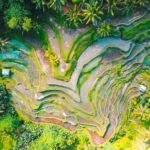 Organising a family vacation can sometimes be a bit overwhelming; where do you start with picking the best destinations that will please kids, teenagers and adults alike? Beaches and theme parks are great, but after a few days boredom can strike (especially for the parents), while endlessly trudging around museums will most likely lead to whinging from the kids. Basing yourself in a city can often be the answer families are looking for to keep everyone happy. With plenty to do and lots of sights to see, we’ve picked our favourite cities that are easy and manageable for a family holiday. Portland is the Pacific Northwest’s capital of cool, and it’s a great choice for families. Teenagers wanting to add to their social media profiles will love taking pictures of the trendy bicycle-riding locals, the hugely Instagrammable nearby 11,240-foot dormant volcano, Mount Hood, and the huge selection of food carts – there are more than 500 food trucks dotted around the city – while lush parklands (Forest Park is one of the largest urban forests in the US), Oregon Zoo, and Oaks Park, which is one of the oldest continually operating amusement parks in the US, will keep kids entertained. For the adults, there’s craft beer (and a lot of it; Portland has more breweries than any other city in the world), farm-to-table food, and artisan coffee. Perfect! Travel: Portland International Airport is the largest airport in Oregon, and is around 15 kilometres from downtown Portland. Pre-booking an airport transfer before you travel is a great way to ensure your family (and all your luggage!) travel together and get you to where you need to be quickly. Lisbon’s temperate weather is a big draw for families; being near the coast it maintains a pleasant temperate and can be less scorching than other parts of Portugal, which is ideal for days playing bat and ball and building sandcastles on the beach. But this is a city renowned for its hills, so keep that in mind if you have little ones. 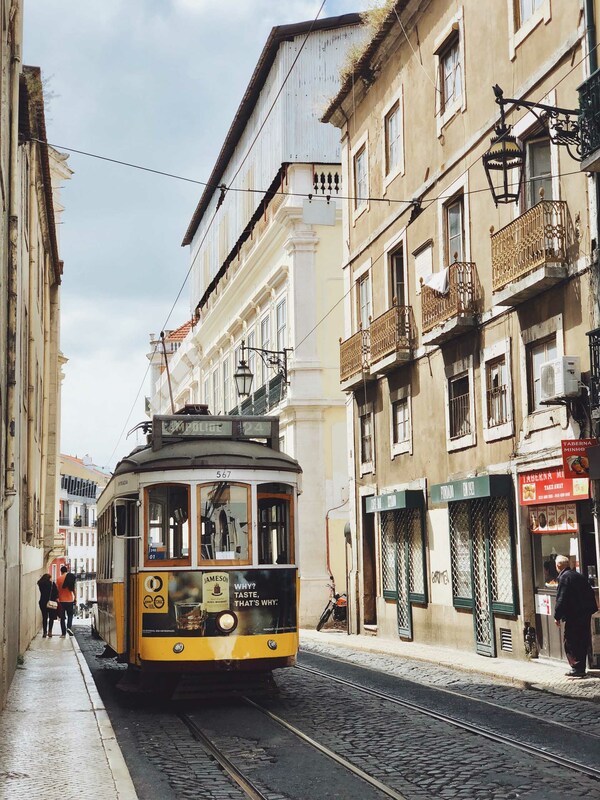 Having said that, Lisbon’s trams, furniculars and lifts that climb the city’s steep hills have become one of the big draws of the city, and kids will love clambouring on the old trams that rattle round the narrow and old streets of the city. Take the tram route E28 while you’re there; on this popular route you’ll traverse through some of the city’s most historic and popular neighbourhoods on a charming yellow tram. And don’t forget to try a pastéis de natas, an egg tart, which is the favourite national sweet treat and synonymous with Lisbon. It will certainly keep the kids happy! Travel: Lisbon Portela Airport is just 5 kilometres from the city, and you can book an airport transfer for your family on Jayride.com. 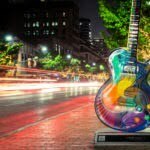 With street performers, fire-breathers and musicians entertaining kids along the main artery of the city, Las Ramblas, plus more than 4 kilometres of clean and safe sandy beaches just a 10 minute walk from the city centre, and plenty of history and interesting sights, Barcelona is a great choice for a family holiday. 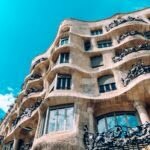 It was home to one of the world’s most renowned and influential architects, Antoni Gaudí, and the city has the largest concentration of his work in the world. 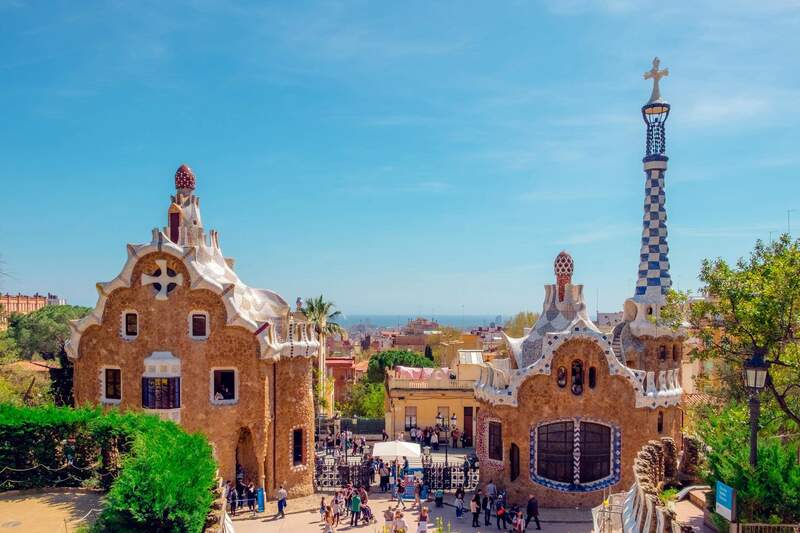 Children and adults alike will gaze in amazement at his work that often looks like something out of the The Flintstones or a fairytale; don’t miss the famous Sagrada Familia, Casa Battló, or Park Güell. Travel: The best airport to fly to is Barcelona-El Prat Airport, which is about 13 kilometres from the city. You can book airport transfers from El Prat Airport on Jayride.com. What’s not to love about London for families? Take the kids to Harry Potter’s platform 9¾, where the journey to Hogwarts begins; see the iconic red tunics and bearskins hats of the Queen’s Guard outside Buckingham palace; hop aboard a capsule on the London Eye and soar above the city’s skyline; be immersed in London’s gruesome history by costumed actors at the London Dungeon; take photos with your favourite celebrity at Madame Tussauds. For parents there are museums and galleries galore, the buzzing West End theatre district, verdant parklands and the banks of the River Thames to explore, food markets, souvenir markets, flower markets… pretty much all the markets you could want. Plus, teenagers will love the famous Oxford Street and Covent Garden shopping districts, cool coffee shops and street art of East London. What about riding an iconic red bus or the Tube? Best of all, there are plenty of free things to do in London to keep the whole family entertained. If you’re looking for further amusement outside of the city, LEGOLAND in Windsor is less than an hour away, while the famous behind-the-scenes tour of the Harry Potter films at Warner Bros. 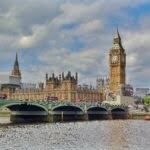 Studio Tour London is around 30 kilometres north-west of London. Travel: There are five major airports that service London, making it very easy to travel to: Heathrow, Gatwick, London Stansted, London Luton, and London City. You can choose to pre-book from a huge selection of private or shared airport transfer providers, ensuring your family and your luggage all stay together. The capital of the USA is an undeniably great vacation spot for any traveller wanting to learn more about the country’s powerhouse history. If you’re travelling with teenage kids, it’s fantastic for an educational and fun trip. The city is full of iconic monuments that tell a history of their own, such as the Martin Luther King Jr Memorial and the Lincoln Memorial; there’s a seemingly endless array of museums, including the Smithsonian Institution, the world’s largest museum, education and research complex, and those along the National Mall are free; plus, it’s home to the pillars of US government, including the White House, the US Capitol, and Supreme Court, among many others. 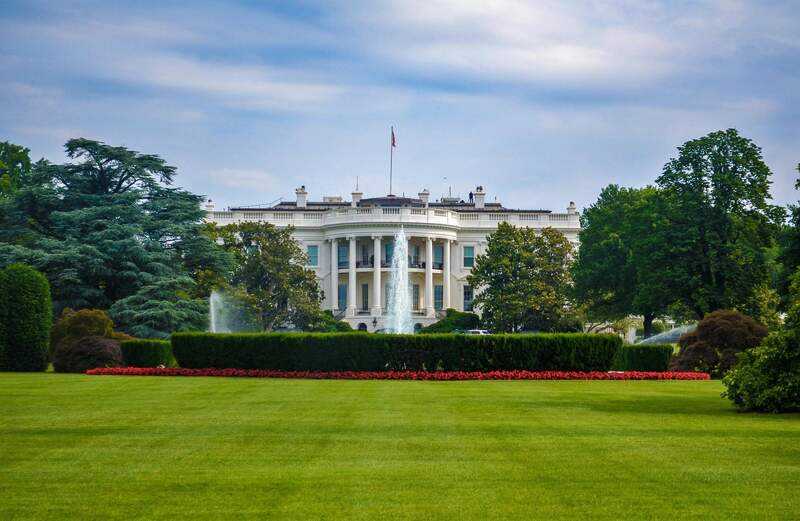 Travel: There are three major airports serving Washington, D.C.: Ronald Reagan Washington National Airport, Washington Dulles International Airport and Baltimore/Washington International Thurgood Marshall Airport. Airport transfers are available from all three airports to Washington, D.C. on Jayride.com. The list of what to do in Orlando on a family holiday is endless, and the city is world-famous for its theme parks. In fact, Orlando is known as ‘The Theme Park Capital of the World’ thanks to its dozens of parks that entertain tens of millions of adults and children alike every year. Take your pick from Walt Disney World Resort’s four major theme parks, to Universal Orlando Resort, LEGOLAND Florida or SeaWorld Orlando, there’s days of fun on any trip to Orlando. If you want a bit of an educational excursion, try the Kennedy Space Center Visitor Complex where you could get lucky and see a space rocket launch, or head to Busch Gardens in Tampa Bay to get up close and personal with more than 300 species of animals. Travel: Orlando International Airport (MCO) is the closest airport to travel to and from when visiting the city. The easiest and most convenient way to get from Orlando International Airport on a family holiday is by airport transfer. One of the best things about visiting Edinburgh is how walkable the city is, making it a great choice for travelling with families. If you’re an outdoorsy group, it’s the ideal city to mix a bit of cosmopolitan life with nature; not far from the city centre is the imposing peak of Arthur’s Seat, an ancient volcano. The walk to the top is steep at times, but the views are completely worth the toll on your legs. About an hour and a half from Edinburgh is Loch Lomond, the largest freshwater lake in Scotland, which provides a glimpse into Scotland’s wild scenery and rugged landscape. 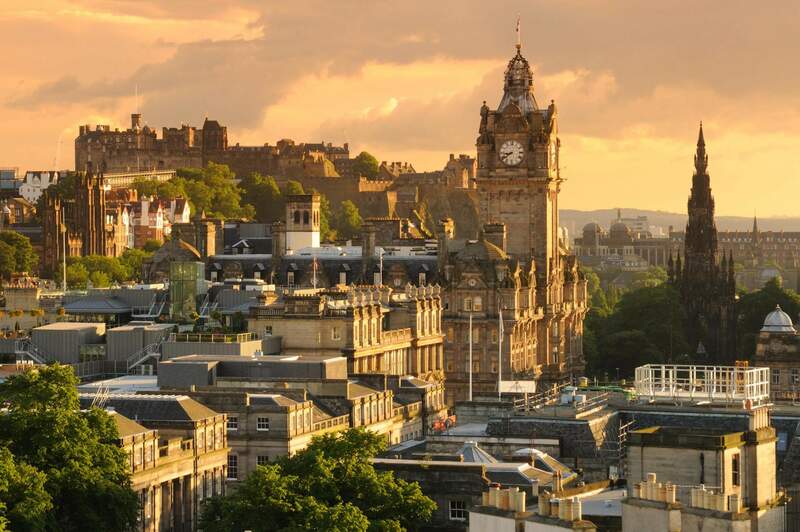 Come back to the city and explore the history of Edinburgh’s famous Royal Mile – on the surface and under the ground. There’s a warren of streets underneath the present-day road where life has been preserved; enter if you dare on the Real Mary King’s Close tours, which provides an overview of Edinburgh’s fascinating history, with a few scares here and there. Teenagers and parents alike will delight in the fright (for safety reasons, children under the age of 5 are not permitted to take part in the tour). Travel: Edinburgh Airport is less than 15 kilometres to the city centre, and is easy to reach with an airport transfer. Capture the perfect family photo onboard the Maid of the Mist boat tour amid the thundering waters of Niagara Falls; Toronto is a great base to explore one of the world’s most famous waterfalls, being only and hour and a half away. Don’t stop the thrills there; while in Toronto head up the 1,815-foot CN Tower for fantastic views of the city. Plus, with world-class museums and fine restaurants, mum and dad will be kept happy on a trip to Toronto, too. Travel: Toronto Pearson International Airport is the main international airport serving Toronto, and is about 25 kilometres from the city. You can book private airport transfers for your family on Jayride.com. 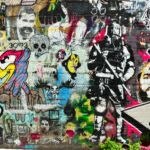 While Sydney may have the surf, sand and glamour, Melbourne is the winner in the culture stakes, and is an ideal family getaway destination. There’s the iconic amusement park Luna Park in St Kilda, as well as other family friendly attractions in the city such as the SEA LIFE Aquarium and the Australian Centre for the Moving Image (ACMI), which has many interactive and fun exhibitions ideal for kids. 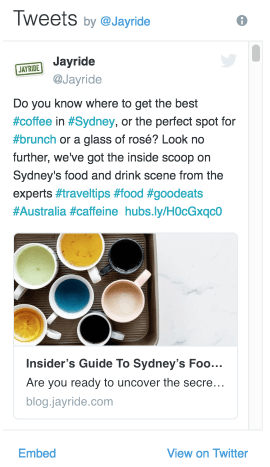 For adults, Melbourne is renowned for its amazing food and coffee, plus there are markets galore and the city’s famous laneways to discover. Head just out of the city and you have nature on your doorstep; the Great Ocean Road is one of the world’s most scenic coastal drives, with highlights including the world-famous surf spot of Bells Beach and the impressive limestone spires of the 12 Apostles. Plus, there’s the very popular Collingwood Children’s Farm only 5 kilometres from the city, where kids can enjoy learning about farm life, feeding the animals and milking the cows. We couldn’t leave out the penguins though! If you stay in the city, head over to St Kilda to try to spot the flightless birds. Otherwise, make your way to Phillip Island to watch the Penguin Parade at sunset; watching the Little Penguins head ashore after a day’s fishing is one of Australia’s most popular attractions. 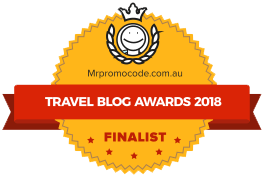 Travel: There are two main airports in Melbourne; Tullamarine is the city’s primary airport and is located just under 20 kilometres from central Melbourne, while Avalon is located 50 kilometres away. 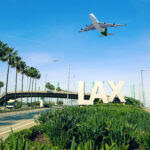 We work with plenty of airport transfer providers at both airports, so book before you fly on Jayride.com. This bicycle-friendly city is an ideal destination for families. Enjoy cycling Dutch-style along the canals with hundreds of other gentle cyclists, or take to the waters on a boat if you prefer. Dutch food will please the children, with pancakes, stroopwafel (a delicious cookie-style waffle), patat (Dutch-style french fries served in a paper cone or box with lots of toppings such as mayonnaise), and cheese found everywhere throughout the city. Enjoy a walk in the Vondelpark and if you’re lucky and visiting in the summer months there are usually free events such as concerts and shows. 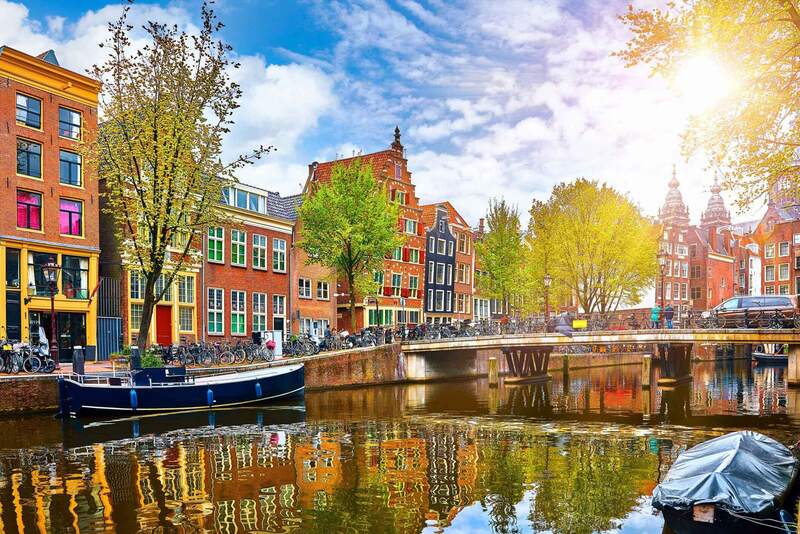 The pretty streets lined with narrow, gabled houses and canals are like something out of a fairytale, and there are plenty of important museums that will interest adults and children alike, including the Van Gogh Museum and the Anne Frank House museum. Travel: Amsterdam Airport Schiphol is the major international airport serving the Netherlands’ capital city, and is around 20 kilometres from the city centre. Private and shared shuttle airport transfers are available to book on Jayride.com. Bring your family’s von Trapp Sound of Music dreams to life in Salzburg. Filmed in and around the city, and once home to the real von Trapp family, Salzburg tops many families’ travel lists thanks to its connection to the popular film. Even if you’re not going to sing ‘the hills are alive’ at the top of your voice, this fairytale city, which was also home to Mozart, will delight families with its host of other fun experiences. Ride a horse-drawn cart in Residenzplatz; enjoy the picturesque and World Heritage-listed Old Town; visit Hellbrunn Palace with its gorgeous gardens and trick fountains. The spires and domes of the city lie against a backdrop of impressive mountains, and the fortress that sits high above the city is like something out of a Grimm’s fairy tale. Travel: Salzburg Airport (also known as Salzburg Airport W. A. Mozart Airport), is less than 10 kilometres from the city centre. Get straight to this enchanting city with an airport transfer on Jayride.com. Lisbon’s trams, furniculars and lifts that climb the city’s steep hills have become one of the big draws of the city, with tourist and visitors alike clambouring on the old trams the rattle round the narrow and old streets of the city.